For over fifty years, James Turrell has drawn inspiration from nature, astronomy, architecture, physics and theology. Using light as his material, Turrell works on and affects the medium of perception. Widely known for his work, Roden Crater, a monumental-scale artwork created within a volcano in Northern Arizona, Turrell was recognised with concurrent solo exhibitions in 2013 at the Solomon R. Guggenheim Museum in New York, the Los Angeles County Museum of Art (LACMA), and the Museum of Fine Arts, Houston (MFAH). Sky Plain is the only permanent Turrell installation in the Mediterranean. 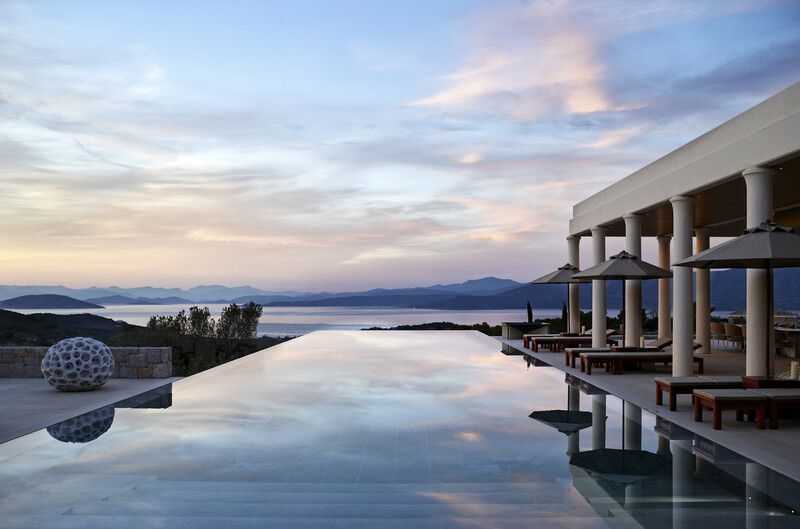 The Skyspace is installed at Villa 31 of Amanzoe, located on the Western ridge of the resort offering unobstructed views over the surrounding landscape and the Aegean Sea, with spectacular sunsets. Sky Plain is an immersive installation in which guests experience a uniquely intimate relationship with the light of the sky. The art installation is available to guests taking residence in Villa 31, allowing them to enjoy Sky Plain at their leisure throughout their stay. As well as including the Skyspace, Villa 31 comprises a master bedroom, 22 metre private pool, kitchen, extensive shaded terraces and living room all set around a serene reflection pool. 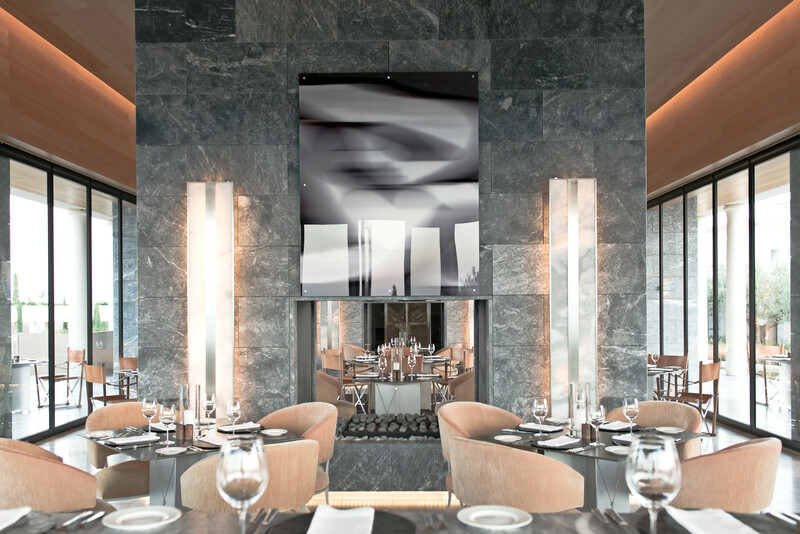 Subject to availability, guests of Amanzoe will also be able to enjoy Sky Plain as part of a unique dining experience which includes an aperitif and dinner, culminating in a private immersion in this rare setting. With its classically inspired architecture, a contemporary interpretation of ancient Greek temples, Amanzoe’s Villas and Pavilions are designed to continue the experience of the outdoors in the sunlight-filled interiors. The resort’s expansive reflection pools cast dappled light onto the pale concrete columns and warm marble making up the walkways through the herb-scented grounds. The Peloponnese is brought indoors in the open-air yoga studio and the expansive spa rooms where clients can enjoy Watsu treatments and holistic therapies. Surrounded by unspoilt nature and an historical landscape, Amanzoe evokes a feeling of peace and belonging. 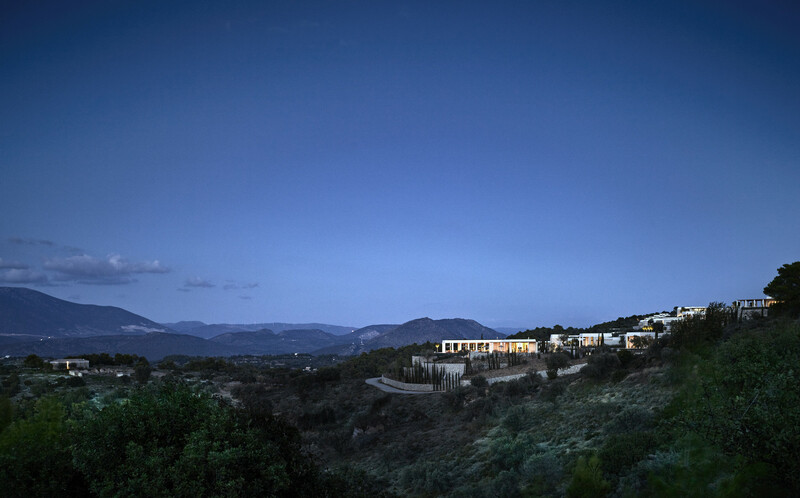 Perched on a hilltop with sweeping panoramas of the Peloponnese countryside, silvery olive groves and the glittering Aegean Sea, the resort is the perfect setting for this unique installation. 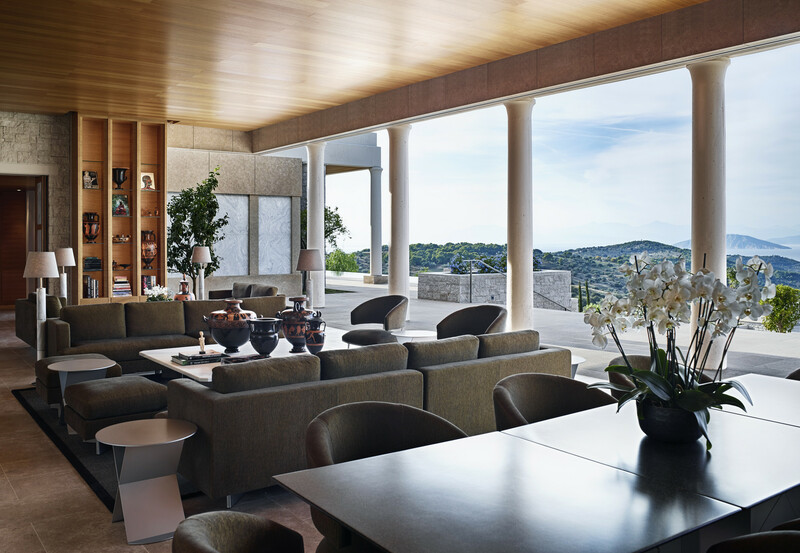 As part of Amanzoe’s fifth anniversary celebrations throughout this coming season, a series of curated events will be available for all guests to enjoy at the resort including specially designed spa treatments, five-course dining experiences and adventures to the nearby islands of Hydra and Spetses. Drawing on the raw beauty of the surrounding countryside and its proximity to cultural landmarks and UNESCO heritage sites, visitors will be able to take part in unique experiences celebrating all aspects of Amanzoe.